PAOV — Popular weed killer Roundup is at the center of a successful lawsuit holding Monsanto accountable for not warning consumers of a harmful carcinogen in their products. This petition is demanding Home Depot, Lowe’s, and Costco protect their customers by removing these unlabeled, cancer-causing products from their shelves. Sign the petition today. 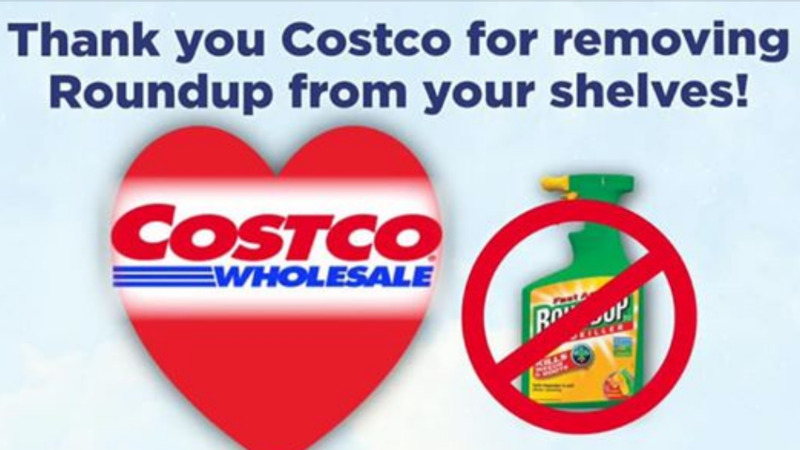 Petitioning Craig Menear, Marvin Ellison, Walter Craig Jelinek Home Depot, Lowe’s, and Costco: Remove Roundup From Your Shelves! As the leaders of the most successful retail outlets in the US and around the world, we, your customers, request that you protect us and our communities by removing Roundup products from your shelves. The California EPA Prop 65 Carcinogen List mandated that all products in California containing the chemical glyphosate, a key ingredient in Roundup, must carry a WARNING label, identifying them as cancer and reproductive harm-causing products, by Saturday, July 7, 2018. Monsanto sued and has temporarily stopped this 30-year practice of labeling. Yet, the judge in that case agreed to keep glyphosate on the Prop 65 List, acknowledging that glyphosate is a carcinogen, but not requiring a warning label. Thus, glyphosate, carries no warning label today. Unacceptable! We think everyone deserves to know! These products should not be sold to the public! We call on Home Depot, Lowe’s, and Costco today to protect us, your customers, and stop selling Roundup (and all glyphosate herbicides) now, due to its carcinogenic effects and lack of labeling.